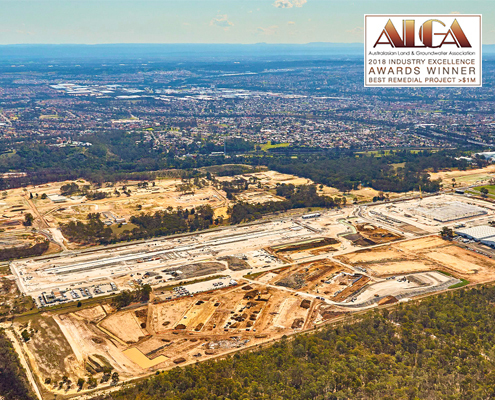 19 October 2018 – Liberty Industrial’s Moorebank Intermodal Terminal Demolition and Remediation Project has been named a finalist in the Best Remedial Project (>$1M) award category for the Australian Land and Groundwater Association’s 2018 ALGA Annual Industry Excellence Awards. The ALGA Annual Industry Excellence Awards are the leading event of the year for Australian contaminated land industry professionals recognising organisational and individual achievements related to contaminated land remediation. 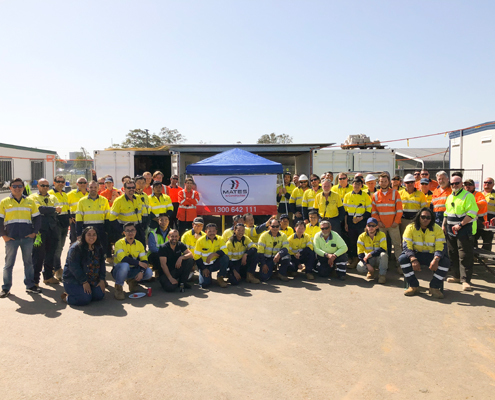 Liberty Industrial’s Moorebank Intermodal Terminal Demolition and Remediation project has been shortlisted as a finalist in the Best Remedial Project over $1M award category. The project involved the delivery of three separate demolition, remediation and site preparation work packages associated with the construction of Australia’s largest Intermodal Terminal. Individually each work package comprised a large and diverse scope of work but when combined and executed concurrently these three work packages formed an extensive and complex civil demolition and land remediation undertaking. Liberty Industrial’s General Manager David Wood said “Liberty Industrial’s nomination in the Best Remedial Project award category showcases our expanding remediation and civil capabilities and further strengthens our position as one of Australia’s leading demolition and remediation contractors. An evaluation committee comprised of experienced professionals from across the contaminated land industry will determine the 2018 award winners. The winners will be announced at the ALGA Annual Industry Excellence Awards Gala Dinner on Thursday 8th November at Doltone House, Jones Bay Wharf.